Serving the State of Arizona with offices in Phoenix and Tucson. Our Tucson office will remain in their same location! Lazarus, Silvyn & Bangs, P.C. is a land use law firm that helps clients create responsible development throughout the State of Arizona with a primary focus in the Phoenix and Tucson metropolitan regions. Since the 1970s, our Partners have practiced land use and rezoning law in Arizona. Beginning with one office in Phoenix, today, we are the only zoning and land use firm that serves multi-geographical areas in Arizona with offices in both Phoenix and Tucson. The Firm has experience in writing and analyzing zoning codes and legislation. The Firm has been a driving force in appropriate, well-planned development, ranging from high-rise office buildings to planned residential developments, light industrial buildings to community centers, resorts, golf courses and other recreational facilities. Our experience also encompasses downtown high rise luxury condominiums, downtown work-force housing, urban in-fill redevelopment, as well as development of Native American Community properties. Subscribe to our FREE newsletters to keep you updated with the most relevant news and updates in the land law industry. Lazarus, Silvyn & Bangs, P.C. 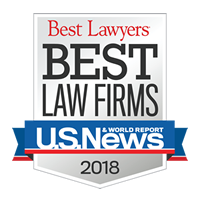 has been named a Tier 1 firm in Phoenix and Tucson for Land Use & Zoning by U.S. News – Best Lawyers® “Best Law Firms” in 2018.